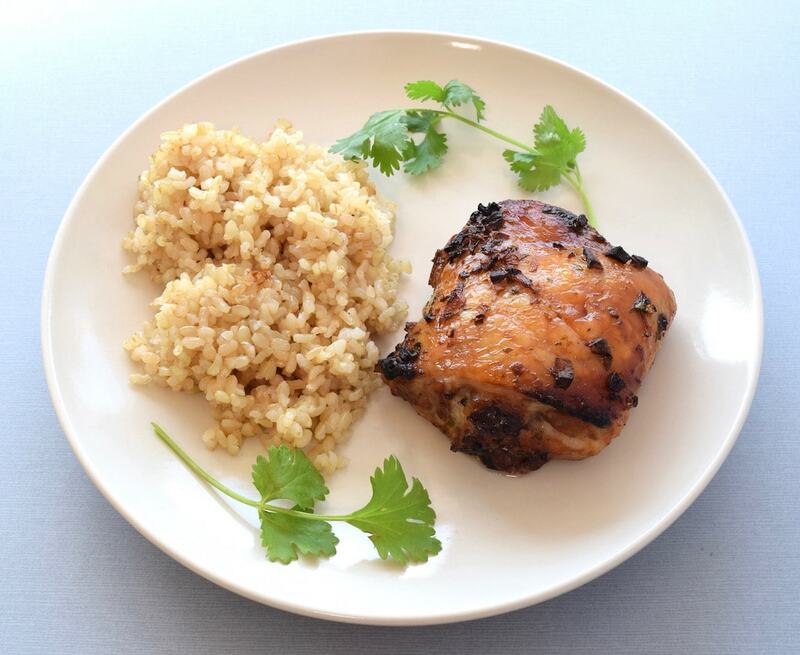 Here’s a quick delicious recipe for bone-in, skin-on chicken thighs. I found this on Serious Eats while looking for some information on knives. 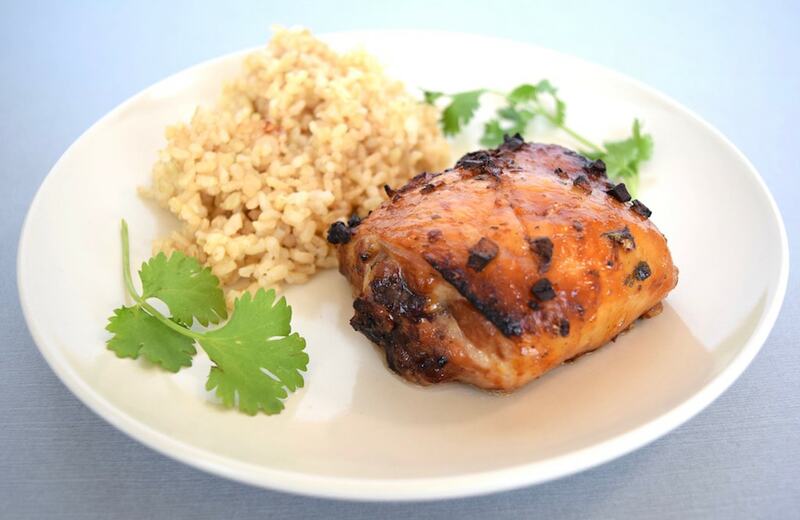 The recipe is basically only two steps: 1) mix up a marinade, and 2) cook the chicken. I love it when something that tastes so good is so easy to make. Mix everything but the chicken in a bowl, then add to a zipper-lock freezer bag. Add the chicken thighs, tightly seal the bag and gently toss to coat the chicken. Marinate for up to 4 hours, but not less than 30 minutes. 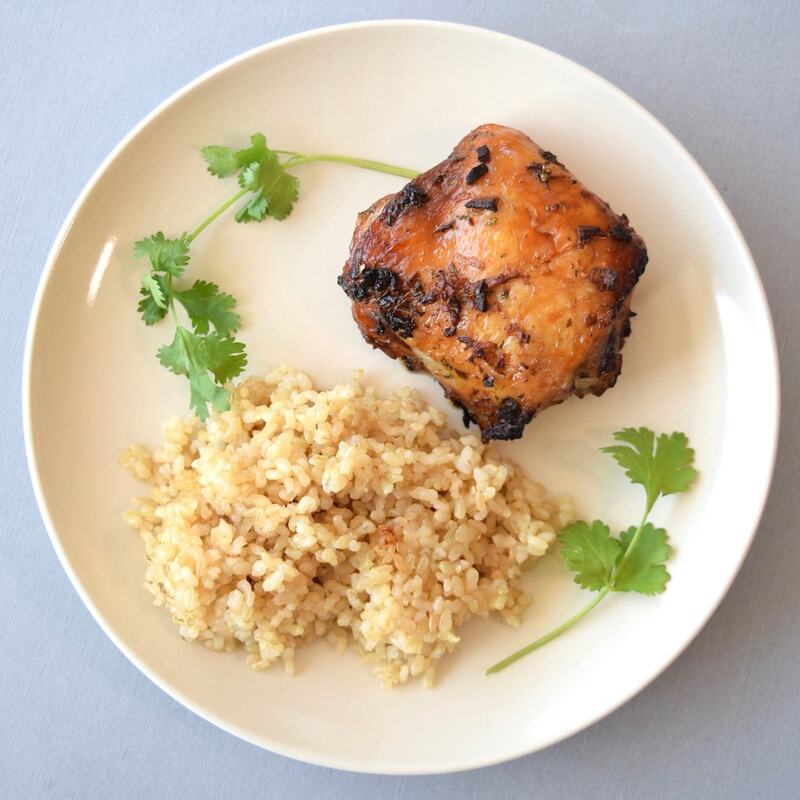 You want to ensure flavor transfer from the marinade to the chicken. When ready to cook, heat the oven to 425 degrees with one of the racks in the middle position. Line a rimmed baking sheet with aluminum (for easier cleanup) and put a wire rack on top big enough to hold all of the chicken. 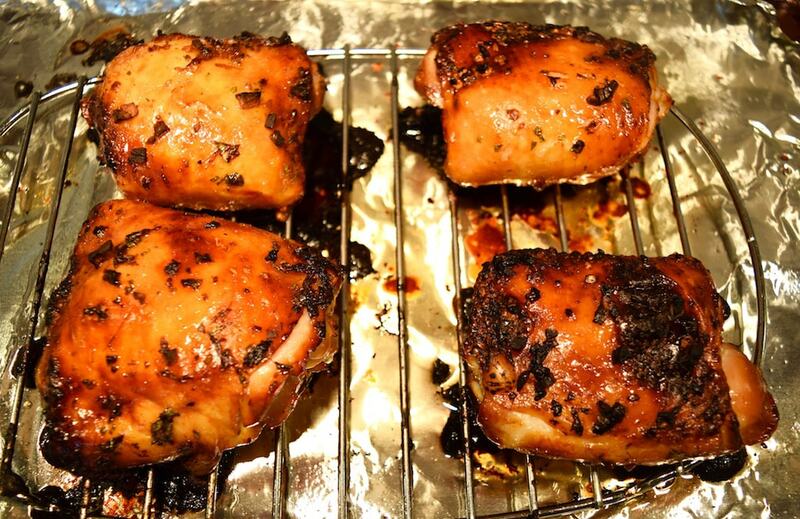 Remove the chicken thighs from the bag and let the excess marinade drip off. Put the chicken on the rack and put in the oven for 30-35 minutes. You’ll know when it’s done when the interior temperature (not against the bone) reads 160 degrees or so. Remove from the oven and let rest for 5 minutes before serving with lime slices or cilantro as garnish. Goes well with seasoned rice or seasoned Asian noodles.